Aspenmate Self Warming Dog Bed will keep your dog cozy without any batteries or electricity. No plugs! No electricity needed! Your dog hops onto this bed & it warms up as if by magic! What? No plugs? No batteries? That's right! The secret is an inner layer that incorporates the same technology as those silver insulating space blankets - you know, the ones that are very thin and found in first aid kits or on spacecraft? They are a low bulk design made from heat-reflective thin plastic sheeting. 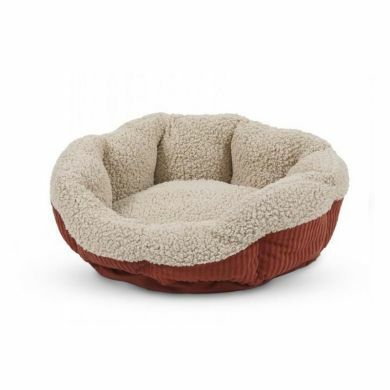 When this is added into your dog bed your dog can litterally heat the bed him or herself. 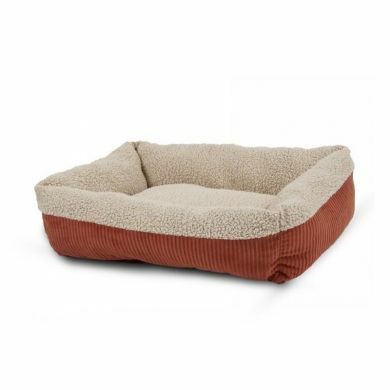 What's the worst feature in most warming pet beds? They can't be washed! Because of the electrical components you have to be very careful with them. Once they're dirty it's hard to sort it out. We had some for our felines and eventually we had to wash them. That was the end. Because there are no electrics with these babies you can wash them to your heart's content. Cosy Plush outer fabric makes for a nice ride. Eco-friendly polyfill gives a soft landing. And non-skid fabric on the bottom keeps your bed anchored where you want it. Read 2 customer reviews of Aspenmate Self Warming Dog Bed. The average customer rating is 5. BRILLIANT, my dog loves this bed,from the moment she got into this bed, you could see she loved it. It washes very well too, which is a bonus.